Here are two opposed views of the regeneration of an old area of Cape Town, Woodstock, it seems inevitable that any upgrading or regeneration effort runs the risk being labeled ‘gentrification’ with its negative connotations of poor locals being forced out by profit hungry developers. It seems ironic that in many of these cases the developers are out-of-work young professionals who seeing the opportunity, make the best of their creativity, contacts and by hard work get the thing going in the face of enormous odds. Only once they have made the area acceptably safe and more economically viable, does the area become the target for developers to enter the market and the price of rents, land etc become a problem as the “poor” landowning residents decide to cash in and sell their properties. 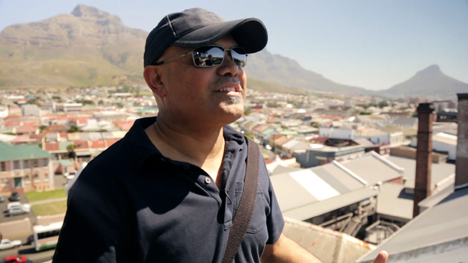 In the second part of our tour around Cape Town, Design Indaba founder Ravi Naidoo shows us the former industrial suburb of Woodstock, which the city’s design community has recently made its home, and explains the importance of upcycling in South African design. “If you have 36 hours in Cape Town and time is at a premium, you have to head down to Woodstock,” says Naidoo. It is an area of Cape Town three kilometres from the city centre that has undergone an “extreme makeover” in recent years and is now home to an array of arts, craft, fashion and design studios and shops, as well as cafés and restaurants. Naidoo takes us to The Old Biscuit Mill, a 19th-century biscuit factory in the heart of Woodstock, which was redeveloped in 2005 by Kristof Basson Architects, and where many of the designers that present their work at theDesign Indaba Expo are now based. 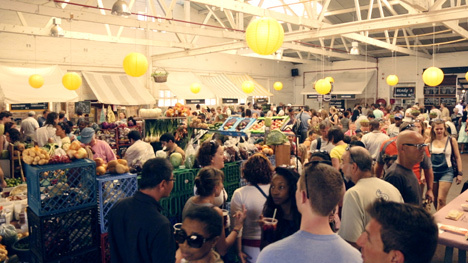 It also hosts a weekly food market that draws crowds from across the city every Saturday. 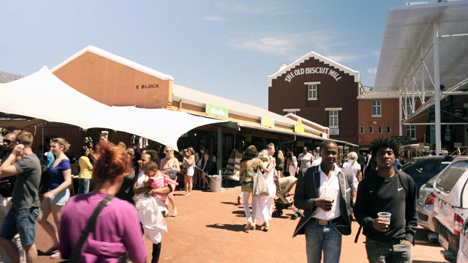 The Old Biscuit Mill recently underwent its second phase of redevelopment, converting the old flour silo into six storeys of mixed-use space, which now houses the Cape Town Creative Academy as well as a new penthouse restaurant called The Pot Luck Club by leading South African chef Luke Dale-Roberts. In South Africa, the phenomenon of gentrification is commonly associated with the resurrection of downtown Johannesburg and the rebirth of Woodstock in Cape Town. Both areas share a common denominator for gentrification: a growing middle class with disposable incomes and a taste for all things designer. 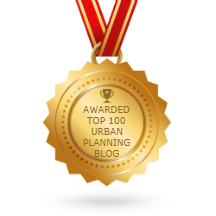 And both fail to support government’s claim that it is creating inclusive cities for all, writes LAURA A WENZ. “When I first moved to New York, it was dingy, disgusting, dirty, ugly, flea-ridden, stinky and altogether terrifying – but then sadly the whole city started to go uphill,” laments Ted Mosby, the naïve and inveterately romantic protagonist of the popular American TV-comedy series How I met your Mother. His sentimental statement captures the glum irony of urban regeneration: Neighbourhoods with the right mix of historical flair, cosmopolitan ambience and urban decay perpetually attract students, young professionals and artists in search of cheap rent and inspiration. Armed with the best intentions and an undaunted can-do attitude, these pioneers set out to make their newly adopted working-class neighbourhood an even better one, praising its “gritty charm” and “original character” while they open coffee shops and organic eateries. Only too late do they realise that property developers have been watching them closely and once the word on the potential value of the once hidden gem is out, land prices shoot through the roof, artists exit through the gift shop and long-time residents end up on their stoep, door locked firmly behind them. Photo: Bromwell Boutique Mall, with close-up of doorman. Rising property values are often too readily assumed to benefit local home-owners, while in fact they have put severe strain on old-established residents, who have had to cope with rising municipal rates due to property re-evaluation. According to the Anti-Eviction Campaign, some families have not been able to afford the escalating rates, leading to their eviction and removal to‘Blikkiesdorp’. This infamous Temporary Relocation Area (TRA) – a not-so-glamorous World Cup legacy – has been repeatedly slammed by human rights groups for its inhumane living conditions. Though the market effects of higher land value are at first glance supporting the city council’s densification strategy as space needs to be used more efficiently, it simultaneously prohibits the development of affordable housing and rental units. This however is an essential prerequisite for making the inner city more accessible to people in the low-income bracket and cracking open the encrusted patterns of urban inequality. Can we please stop drawing trees on top of skyscrapers? I would leave a comment here, however my experiences, opinions/ views my be to harsh for your silver lined view of what you are saying in the article above. If possible I’d like to speak with you in person, alternatively you can email me and I’ll reply from there. I would welcome your insights please post them – sorry for the delay in responding. I went to Woodstock today for the first time in a long time and realised just how trendy it’s become, and I started thinking immediately about gentrification and what its effects might be in the future. I liked this post, in which two opposing views were shown to help the viewer understand the situation in a more wholesome way.